A great seat, very well padded and designed for comfort. Fits really securely in the car. Good harness, easy to adjust. A good recline. Great value for money. Just a shame it can’t be rearfacing. This is a great car seat as very comfy for my son and allows him to see plenty when in the car. When I bought it however, even the guy in the shop struggled to change the straps height setting. Also, it was sold to me as lasting until approx 4yo and at 2.5 my son has pretty much grown out of it. Generally though it is a great, well made product. Great car seat, we’ve used it now for 2 years. Well made, fits nicely into most cars. Built to last, great price for a great seat. Would recommend. This is very comfortable for my little one to sit in the car and chill or sleep in getting him in takes a while as this isn’t easy to get the straps clicked in together. Really good product, my little boy is 7 months old and has just gone in to this as was too big for his baby one, he looks really comfy in it and it supports him well only downside is when you need to put the straps up a level it isn't the simplest product to do that with. This car seat is lovely but hard to get into place I found that when other people put it in it was difficult to see where the seat belt was going and the instructions are awful over all its lovely and very comfy for kids and baby's. I love all maxi cosi car seats. This one is quite large in the back of the car but gives your toddler that extra space which I think they need. The ability to tilt it back also allows them to sleep comfortably in long journeys. Brilliant car seat. I loved this car seat, my son sat beautifully in it, easy to move into other cars as well. Son had long legs, kept touching front seat, my Car too small. I absolutely loved this car seat, I had to move it into my dad's car though as he had long legs so kept touching my front seat as my Car is smaller than my dad's and I was worried if I had a car accident that it could break his legs. Would highly recommend this car seat my son looks comfortable and secure when he is in it. Adjusting the straps were a bit of a nuisance to figure out but once you know what your doing its easy. Very easy to put into cars, love how the car seat is set out it’s so easy to put the baby into it and it looks very comfy for baby to. It’s good for longer car journeys to! I love this car seat. It is so simple to use but still very safe. My son falls asleep almost every car ride no matter how long or short, so the option to tilt whilst he sleeps is such a gift making sure he’s really comfortable. Car seat isn’t as bulky as others I’ve seen but is a little bit heavy but I very rarely remove mine from the car. This car seat is the best one I have used. It is very easy to put in your car. Not too heavy. The stucture is up to a very high standard and is very comfortablr for the child. I loved using this seat for my son. Great sturdy seat and belts in really safe. The straps are nice and strong and children are unable to open thereself. I love the tilting feacher for when baby is asleep and they can still be safe. The maxi cosi priori seat is a lovely roomy carseat without being to bulky. My son looks very comfortable in it. The reclining features are brilliant meaning when he falls asleep I can tilt him back so hes more comfortable. It feels very secure when strapped in to the car, I feel like my son is safe whist we are traveling. 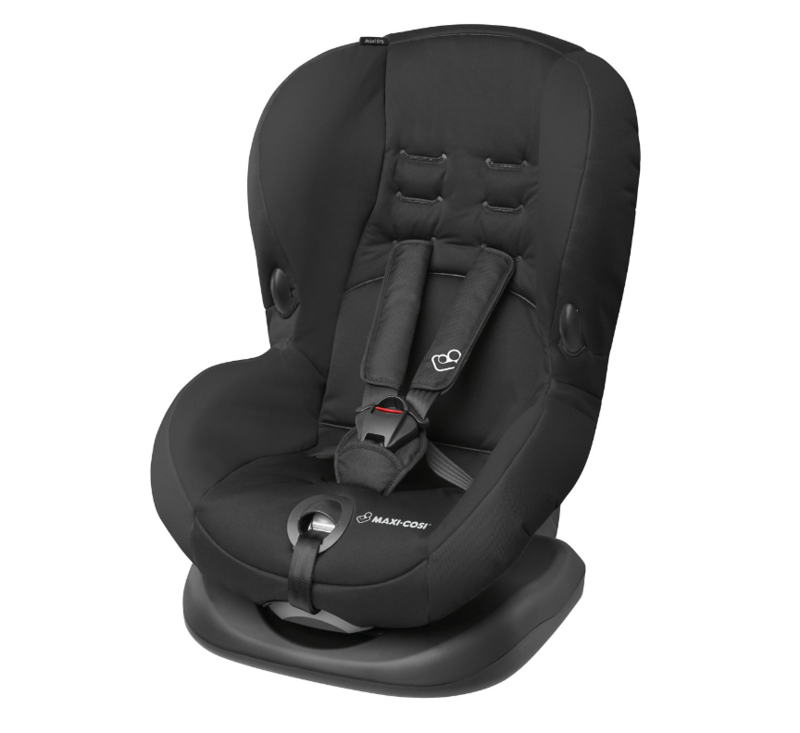 The spacious Maxi-Cosi Priori SPS Plus car seat is designed for toddlers from 9 to 18 kg (approx. 9 months to 4 years old). Its unique Side Protection System proovides optimal protection in the event of a side coliision, with shock absorbant material surrounding your child’s head and neck. 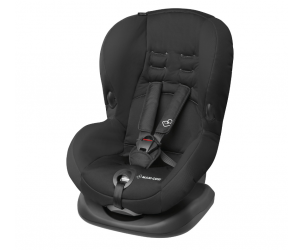 This car seat is easily installed in a forward facing position with the car's safety belt. 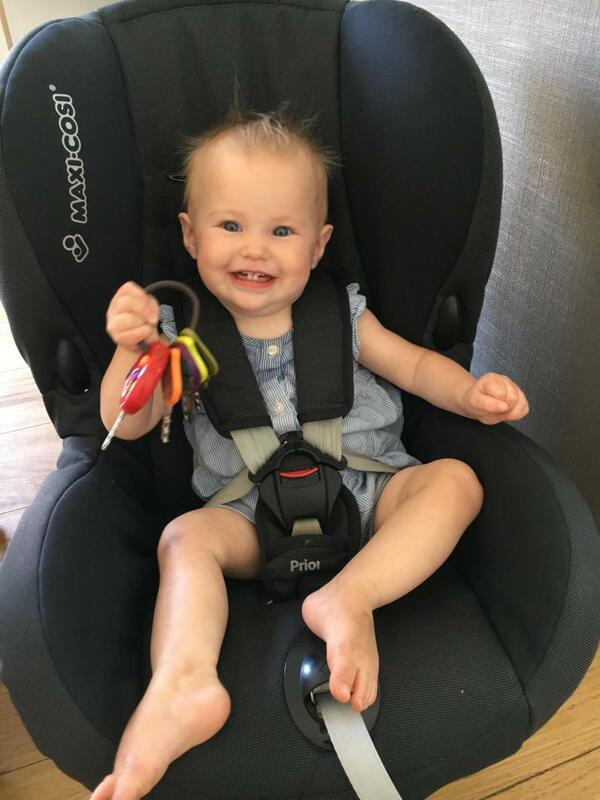 The Maxi-Cosi Priori SPS features an integral 5-point harness and handy belt hooks to ensure that the harness is kept out of your way when placing your child into the seat. Once the harness is shut the one pull adjustment ensures the tension is correct and enables your child to travel safely and comfortably. Additional features on the harness are the chest and buckle pads for additional comfort and safety. The mechanism for reclining the seat is easily accessed from the front of the seat, and you can choose 4 different positions to suit your child, from a more laid-back position (for sleep) to a more upright position (to see outside).